Now that we are in the short respite between Christmas and New Year’s, I thought I’d share with you the focus of my December meditations. My month was a bit too hectic to get this into a blog earlier, but perhaps God’s timing is at play and you will have a greater opportunity to absorb this today. I know this is a long blog, but I’m confident that you’ll be blessed by it. Take a few minutes in your devotions to read and meditate on it. God will bless you as He has me. In late November, God brought to mind a story about my dad. His name was Pat. After his funeral we were sitting in my step-mom’s living room and my aunt said something very special to me. She said “Everyone knew when you kids were little, you better not touch any of you kids or you’ll have to answer to Pat.” I’ll make it personal – “You better not touch sandy, or you’ll have to answer to Pat!” Now that obviously was a very special thing for me to hear. It was wonderful to hear how much my dad loved me. But that wasn’t the lesson God had for me in reminding me of that conversation. The lesson for me was that I didn’t know my dad that way. By the time I reached an age when I remember things, my dad was an over-the-road truck driver so he was only home every other day to sleep. And when he wasn’t sleeping he and mom were arguing. Now I knew my dad loved me, but I didn’t know the dad that my aunt told me about. The message God had for me was that, while I know God, there are many other ways to know Him. He is so much more and so much bigger than the little bit that I know of him. So my prayer became “Lord, reveal yourself to me in a new way this year during the Christmas season.” Along with that was the thought that when I preached in December maybe I would preach about the extravagant love of God that is embodied in the birth of Christ. And I’m so excited about the passage God led me to study those themes. My December message was a special one. And when I finished preparing it, God led me to a worship song that fit perfectly. I had apparently bought it about a year ago and then promptly forgot about it. It totally expresses my heart as I prepared this message. Before I share the message with you, let’s listen to the song. Oh, Lord, let us rediscover you this week. Don’t let this season end until we’ve seen you in a new and glorious way. Reveal Yourself to us, Lord. We want to see you and cry holy, holy, holy is the Lord God Almighty, who was and is and is to come. We want to worship the God who came to earth and returned to heaven. All for me. Amen! God took me to the book of John. Now I have to admit – many people love the book of John, but it’s never been my favorite! A common question new believers ask is “what should I read” and many people tell them to read the book of John. I don’t get that. 1In the beginning the Word already existed. The Word was with God, and the Word was God. 2He existed in the beginning with God. At the simple reading of this, we don’t know that the Word is Jesus, but as we get further into the passage, it becomes clear. So, knowing that it is Jesus, what does the verse tell us? Well, the first thing it tells us is that there was a time that God refers to as “the beginning” and God existed before that – He existed before the beginning of time. That’s why we call him the everlasting God, the eternal God – He existed before the beginning, He exists now, and he will exist beyond the end. That boggles my brain. But it’s true. There’s absolutely nothing I can do with that statement except accept it by faith. And worship. We don’t worship a God who was born on a given day in human history and then died on a given day in history. Yes, Jesus did those things. But in order for him to do those things, He had to step out of eternity and into the boundaries of human time. Think about that for a minute. We often focus on Jesus coming and dying for our sins and are amazed that He would do such a thing…and we should be amazed…but think about the bigger picture for a minute. Lose the “what’s in it for me” mindset that we all have, and think about the process. Jesus existed before the beginning of human time. Jesus was with God. Jesus was God. There’s a lot I don’t understand about the spiritual realm. One thing I’m pretty sure of is that it’s beyond my imagination and understanding with a WOW factor to the nth degree. Jesus existed in that realm with God before the beginning of time. So not only did Jesus exist before time, and not only did He exist with God, but He is God. Scripture says if you have seen the Son – that is Jesus – then you have seen the Father. That’s not a “like father like son” statement – that’s a statement of the reality that the Father and Son (and the Holy Spirit) are one. 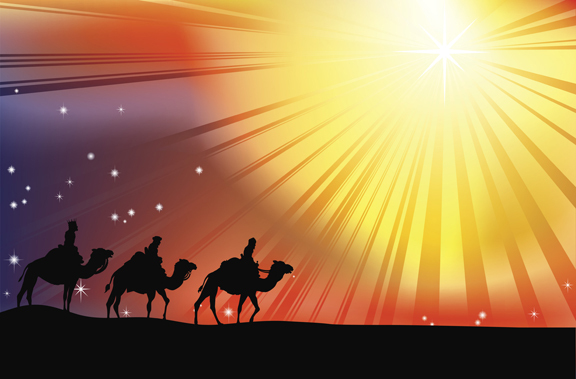 In those two verses, John starts his introduction to the Christmas story by making sure we understand that the One who came to earth is the One who existed before the beginning of time and is God Himself. 1In the beginning the Word already existed. The Word was with God, and the Word was God. 2He existed in the beginning with God. 3God created everything through him, and nothing was created except through him. Here we have a new piece of information. That God created the world through Jesus. Jesus was the force behind the creation of everything. Jesus was the power that God used to create the world. Jesus was the creativity that God used to create the world. The word translated “created” is a form of the verb “to be” – so we could also translate the sentence “Everything is” or “all things are” or “all things exist” because Jesus created them. 1In the beginning God created the heavens and the earth. 2Now the earth was formless and empty, darkness was over the surface of the deep, and the Spirit of God was hovering over the waters. 3And God said, “Let there be light,” and there was light. 4God saw that the light was good, and he separated the light from the darkness. 5God called the light “day,” and the darkness he called “night.” And there was evening, and there was morning–the first day. God spoke and Jesus, the Word, created light. God spoke and Jesus, the Word, created heaven and earth. God spoke and Jesus, the Word, created land and the oceans. God spoke and Jesus, the Word, created – as it says in John chapter 1 – everything – all things – nothing was created without Him. 1In the beginning the Word already existed. The Word was with God, and the Word was God. 2He existed in the beginning with God. 3God created everything through him, and nothing was created except through him. 4The Word gave life to everything that was created, and his life brought light to everyone. Jesus gave life to everything that was created. It was Jesus who breathed life into Adam. And His life brought light to everyone. Jesus was the creator of life at the beginning of time, He is the giver of new life for those who follow Him. He is the good shepherd who lays down his own life – who gives up his life – so that we might have life. Other translations of verse 5 say the darkness has not “understood” or “comprehended” it. Interesting that they translated it as they did. The word used is katalambano, which is more frequently translated apprehended. Jesus, the source of all life creates light and the darkness is not able to apprehend or grasp it. I don’t want to be like the darkness. I want to live in the light. I want to grab hold of all that God has for me. I want to apprehend that for which Christ has apprehended me (as it’s worded in the King James Version). He [Jesus] came into the very world he created, but the world didn’t recognize him. Jesus, who existed before the beginning of time, who is God. Jesus, the one who created all things, who breathed the breath of life into Adam, gives life to all things. Jesus came into the very world He created…but the world didn’t recognize Him. I think perhaps that is a betrayal worse than His crucifixion. The complete betrayal of the world He created – they didn’t even recognize Him. The ones who He called to be His very own. The ones He chose. The ones he chose again and again as they turned to idols made of wood instead of the One who gives all things life. The ones who chose power or money or fame or leisure or…any of the so many other things we turn to instead of God. The ones…they are us…we rejected Him. I rejected Him. Jesus left the heavenly realms – left the world of eternity to step into the world of human time – for this. To be despised and rejected. To not be recognized by His own people. To offer abundant life only to have His creation reject it. That’s extravagant love. God knew. Jesus knew…that many would reject His tremendous gift of salvation. And still, He stepped out of eternity, took on the form of a man, living among the indignities of this world of disease and sin. That’s extravagant love. There’s no other explanation. Jesus was born as a helpless baby so that we might experience the love of God. He gave it all up for you and me. That’s how much He loves us. He gave up heaven and lived the rejection and betrayal…so that we may become children of God. 12But to all who believed him and accepted him, he gave the right to become children of God. 13They are reborn—not with a physical birth resulting from human passion or plan, but a birth that comes from God. To all who believed and accepted Jesus – it’s not enough just to believe. You have to believe and accept – the word there is lambano – remember katalambano – this is just the second part of it, lambano – so the words are very similar. To all who grab hold of Jesus – to all who believe and receive Him – to those people, He gave the right to become children of God. He gave them new life – reborn, not physically, but spiritually – He gave them (us) a new birth that comes from God. That’s extravagant love. That the eternal God left behind the glories of heaven to show His glory to us, through the person Jesus. Jesus who created the world. Jesus who existed before the beginning – before time began. Jesus who gave up everything to show His extravagant love for me. So that I could become a child of God. So that I could experience a new birth. No one has ever seen God. But the one and only Son is himself God and is near to the Father’s heart. He has revealed God to us. Jesus has revealed God to us. Whew! Jesus is the baby who was born in the manger. Jesus is the man who lived a sinless life. Jesus is the One who died for my sins so that I might be reconciled to God and have eternal life now and forever more. But He’s so much more than that. Jesus is the eternal God who left heaven to reveal God to us. That’s how extravagantly He loves us. If you don’t know that love, talk to God. He specializes in revealing Himself to individuals. Ask Him to reveal Himself to you. My first prayer went something like this: “Lord, I don’t even know if you exist, but if you do, I want to know you.” I was 23 years old. God revealed Himself to me in a way that left me no doubt of His existence. And now, 34 years later, He continues to reveal the extravagance of His love to me. He’ll do the same to you. May God bless you abundantly with His presence now and throughout the coming year. Ask Him to reveal Himself to you. He’ll do it. As I read this passage morning, I was struck by the phrase “made right with God.” It seemed to stir an old memory that is only half there of my mom telling me to “make it right.” It seems that was something she would say after we kids got into an argument. As I said, it’s only what I call a “half memory” – I don’t know if it really happened, but there’s something stirring in my mind. We would go from fussing and fighting about something to saying we were sorry and hugging each other. Now I’m sure that good feelings didn’t abound at the time, but there was a degree to which we were reconciled. This is not a small thing. We have been made right with God. The Creator of the Universe whose majesty surpasses anything we can imagine, whose justice is perfect and whose righteousness is a standard that none of us can come close to meeting has made us right with Himself. 1Dear brothers and sisters, the longing of my heart and my prayer to God is for the people of Israel to be saved. 2I know what enthusiasm they have for God, but it is misdirected zeal. 3For they don’t understand God’s way of making people right with himself. Refusing to accept God’s way, they cling to their own way of getting right with God by trying to keep the law. 4For Christ has already accomplished the purpose for which the law was given. As a result, all who believe in him are made right with God. Paul makes it clear that one can have great zeal for God without knowing Christ. He calls it “misdirected zeal.” He makes it clear that we can pursue God in our own way – cling to the way that we want to be forgiven instead of accepting God’s way – and that it doesn’t lead to our salvation. Accepting God’s way leads to salvation. God’s way is believing and embracing what Christ has already accomplished – accepting His free gift, His substitionary death as fulfilling the payment or penalty required for our sin. Thank You, Lord. For making me right with You! 9If you confess with your mouth that Jesus is Lord and believe in your heart that God raised him from the dead, you will be saved. 10For it is by believing in your heart that you are made right with God, and it is by confessing with your mouth that you are saved. Have you been made right with God? If not, I urge you to take Paul’s advice – confess with your mouth that Jesus is Lord and believe in your heart that God raised Him from the dead. Believe it. Make Jesus the Lord of your life. Tell someone about it. Leave a comment on this post or email me – sandy@ApprehendingGrace.com. Dr. Tony Evans is a respected teacher, pastor and author. I came across this video recently and loved it. Do you want to know who Jesus is? Do you want to see Jesus in every book of the Bible? Check out to this short video by Tony Evans. Want to meet Jesus in every book of the Bible? You’ll need to read every book! Join us as we read through the Bible in Resting at the River’s Edge. Make thankfulness your sacrifice to God, and keep the vows you made to the Most High…But giving thanks is a sacrifice that truly honors me. If you keep to my path, I will reveal to you the salvation of God. We’ve spent several weeks on the topic of giving thanks, and I hope you are all working on your thanksgiving muscle. Yet I would be remiss to leave the subject without recognizing that there are times when it’s difficult to give thanks. There are times in our lives when our bodies, spirits and/or hearts are broken. There are times when we feel like God is very far away. At those times, it is difficult to give thanks. Yet still, the commands of Scripture remain that we are to “give thanks in all circumstances.” It’s at times like this that we need the blessings that come with thanksgiving. Yet making those thanksgivings is a challenge. That’s when we truly learn to make thankfulness our sacrifice to God. It is a sacrifice because we do it out of obedience and out of a long history of knowing God’s goodness, even if we’re not able to feel that goodness at any given moment. So I’ve gone to Scripture recently. Because I believe that if God tells me to “give thanks in all circumstances,” He will also teach me how to do so. I’ve looked up all the verses that say “give thanks” and believe I’ve found a secret in them – God’s secret about how to be thankful, even in those times when thankfulness seems hard. There are 33 verses in the Bible that command us to “give thanks.” Those 33 verses identify 4 things that help us to be thankful. Two of those things are reasons to be thankful. The other two things are actions that help us to be thankful. So Scriptures gives us both reasons why we can be thankful and things we can do to help us to be thankful. We’re going to look at those 4 things. 1Give thanks to the LORD, for he is good. The two reasons are right there in verse 1 — Because God is good and because His love endures forever. “God’s love endures forever.” Almost half of the Scriptures that command us to “give thanks” tell us to do so because God’s love endures forever. No matter what is happening to you today, no matter what your circumstances are you can know that God loves you more than you can ever imagine. He loves you with an everlasting love and His love endures forever. That word “forever” includes all circumstances and is for all times. He loved you so much that He willingly sent His Son, Jesus Christ to live on earth as a man and then to die on the cross so that the penalty for your sins could be paid. Scripture says that we are all sinners; that we have all asserted our independence from God, gone our own way. The Bible calls that sin. And Scripture is clear that the penalty for sin is death. But the Gospel message is that God offers us the gift of eternal life through His Son, Jesus Christ. Jesus chose to die in your place and in my place so that we can live for eternity with God. That’s how much God loves us. That’s how much He loves you. My favorite verse in Scripture is found in Romans 5:8. It says that God demonstrated His love toward us in that while we were still sinners, Christ died for us. That’s a love that endures forever. God’s love is the same yesterday, today and forever. It endures forever. And that’s something that you can be thankful for every day of your life. No matter what your circumstances are, no matter how people around you are treating you, no matter how cranky you feel, God still loves you. When we turn our attention away from the things that have gone wrong in our world and instead think about or meditate on God’s love for us, God changes our perspective and enables us to be thankful. The second reason Psalm 136:1 gives for giving thanks is a simple one: because God is good. When I think about how powerful God is, how He spoke the world into existence, how the winds and storm obey Him, I am very thankful that He is a good God. That’s the goodness of God – compassionate, gracious, slow to anger, abounding in love and faithfulness, maintaining love to thousands and forgiving sin. I can be thankful for a God that is so good. Now those of you who know Scripture, know that I didn’t finish God’s description of himself. He is compassionate, gracious, slow to anger, abounding in love and faithfulness, and he does forgive sin. But the verse goes on to say that the does not leave the guilty unpunished. A good God cannot overlook sin, and we wouldn’t want him to. God’s goodness requires justice. That means that the price or penalty must be paid for our sins. But His goodness also provided a way for that justice to be served. He sent His own son to die for our sins so that we might share eternal life with Him. God has already told us that when he judges sin, the penalty for it will be death. But He’s also already paid that penalty through the death of Jesus. When we accept Jesus into our heart and make him Lord of our lives, God no longer sees our sin. He sees that Jesus has already paid the penalty for it. That’s something to be thankful for. I wrote earlier that Scripture identifies 4 things that help us to be thankful. The first two are reasons we have to be thankful: Because God’s love endures forever, and because He is good. Scripture also gives us two actions or assignments that help us to be thankful. “Give thanks to God and praise His name.” We are to praise God. It’s pretty hard to praise God without developing a thankful heart. It’s hard to praise him and stay in a bad mood. Even when circumstances are difficult around us, we can choose to praise God. When we do that, we soon find that our spirits rise and we’re no longer looking at the difficulties around us, but at the goodness of God. Even when things seem to be at their worst, there are things we can praise God for. We can praise Him for his goodness and for his never-ending love. We can praise him for his mercy and for sending Jesus. We can praise him for his presence in our lives. We can praise him for the wonders of His creation. We can praise him for giving us His Word to read. We can praise him for the peace and comfort He gives us. Give thanks to the Lord, for He is good, His love endures forever. I challenge you, the next time it’s hard for you make thanksgiving your sacrifice, write your own Psalm 136. You will find that God’s goodness will overwhelm your heart; that His goodness is bigger and better than everything that is pulling you down. Your circumstances may not change, but your heart and your spirit will. If you don’t know Jesus Christ as your Savior, you can do that now. If you have never said “Yes” to God, you are headed toward an eternity without Him – an eternity in hell, separated from God’s goodness and love. But that’s not what God wants. He loves you, and His love endures forever. He has made a way for you to spend forever with Him in heaven. That way is by asking Him to forgive your sins and to be Lord of your life. It’s His deepest desire for you. If you’ve prayed that prayer, you are a new creation in Christ Jesus. You have more to be thankful thank you ever have before. When you find yourself in times where thanksgiving is hard, make it your sacrifice to the Lord. Turn to Him, remember His goodness, and give thanks. God is faithful – He will do what He says He will do. He does not change His mind about it. He doesn’t look at our sin to determine whether or not it is forgivable. Instead, when we confess our sins, God is faithful – to His character, His Word, and to the promises He’s made to us. God is just – It would not seem to me that a just God should forgive all my sins, but He does. He forgives all my sins because the required punishment has already been given and received. He forgives my sins because the required price has already been paid. To not forgive the sin would be requiring more than what God has already said is required. Romans 6:23 states clearly that the penalty for sin is death. It goes on just as clearly to explain that the free gift of God is eternal life through Jesus Christ. Christ died as payment in full for my sin. Paid in Full! Punishment has been already been given and received. God is faithful to His Word and God is just. To require more of me today than God has already defined as the set penalty or punishment would be unjust. God will forgive our sins – With the penalty already paid, God fully – fully – forgives our sins. Any residual guilt we may feel is one of two things (or both): A lie from the enemy that we are believing or a refusal to believe God. You may wonder “why would anyone ever refuse to believe God – especially about something so wonderful?” It’s a fair question. But I suspect that if you think carefully you can identify times in your own life when you chose to hold on to guilt instead of receive God’s forgiveness. Perhaps you felt that you didn’t deserve forgiveness; perhaps you were enjoying wallowing in your guilt; perhaps you were just being rebellious or stubborn. In the light of day that sounds horrible, but we do it. At some point (or at many points in our lives), we must choose to believe God in this area – believe God that if we have confessed our sins, He will and has forgiven us. God will cleanse us from all unrighteousness – I am so glad that God added this last phrase! It says that not only will He forgive the sin that I’ve confessed, but that He will cleanse me from all unrighteousness. We don’t have to worry that we may have forgotten to confess some sin and therefore have not been fully forgiven. God cleanses us from all unrighteousness. And as I suspect you’ve heard many preachers say – all means ALL! 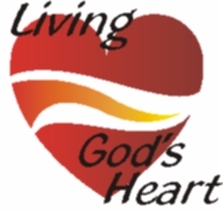 When we live with a repentant heart, we confess our sins as God brings them to our attention. He then immediately forgives us and cleanses us from all unrighteousness. First, what an awesome, mind boggling thing it is that Jesus did for us. He took all the sin we have committed and ever would commit upon Himself as He hung on the cross. In that moment when God looked away, in that moment when Jesus and God were separated by the blackness of my sin, Jesus didn’t condemn me, He forgave me and He cleansed me. He made it possible for me to exchange the blackness of my sin for a pure heart. Second, sometimes we feel unclean because of sins against us. When we confess our sins, we are cleansed from all unrighteousness. When we have been sinned against, even if our response has been pure, we feel unclean, just as we might feel unclean when we visit a garbage dump. It’s not our fault and we are not condemned for having visited the dump, but upon leaving we feel unclean. When we come to the Lord, He cleanses us of all unrighteousness. If you are struggling with feelings of unrighteousness – feeling that you have been sinned against and will never be clean – go to God. Confess your sins (read that carefully – confess your sins, not those sins others committed against you) and know that God will cleans you from all unrighteousness. Believe it! Live it! Holding on to feelings of unrighteousness are unnecessary. When we confess our sins, God is faithful to His Word and His promises to us. When we confess our sins, God is just – not requiring a greater penalty than His Word says is required. When we confess our sins, God forgives them – we can live in freedom. When we confess our sins, God cleanses us from all unrighteousness – he exchanges the blackness of our sin for a pure heart. A repentant heart leads to a pure heart. And living from a pure heart is living in freedom and joy. This song has been blessing me this Christmas season. How Many Kings, by DOWNHERE. Close your eyes and listen or watch the video. Or do both. Some of the images really brought a reality to all that Christ abandoned to be born as a child and to how very much He loves us. BTW, DOWNHERE is currently having a 30% off Christmas sale from their website. Click here for details or to purchase their songs/CDs. OK, so after writing this, I was telling my hysband about writing it and he said “didn’t you do the same thing last year?” Oops! I did! Well, I guess I’m still being impacted by the song. Click here to see what I said about it last year or to check out DOWNUNDER’s video of a live performance of the song. Comments Off on How Many Kings? As I sat down to write a blog to post on Christmas Eve, I realized that there were many places that I could take it. As I considered the thoughts I’ve had about Christmas this year and looked at notes I’ve made in my journal, I was drawn to an unlikely passage for a Christmas blog. Yet this passage has Christ woven throughout it. It begins and ends with Christ…it’s just that the Israelites didn’t know Him as Christ, Jesus of Nazareth, their Messiah – at least not in the way that we know Him. When I read Isaiah 43 a week and a half ago as part of our Resting at the River’s Edge readings. I copied the entire chapter into my journal with a note that it might be perfect for a Christmas blog. As I’ve been reading it again, it still seems perfect. Let me quote extensively and simply add my commentary. I love the promise of the coming Christ in this Old Testament prophecy and it’s portrayal of God’s tremendous goodness to His people. God created us. We have a special affinity for things we’ve created – things we’ve put our blood, sweat and tears into. God has that special affinity, that special love, for us. Let’s personalize. God created me. He formed me. As the master potter, He said as He worked “This one, the one whose parents will name her Sandy – she will be a woman about 5’6″. She will be independent and strong. Let’s give her the gifts of administration and preaching. I know the challenges she’ll face, so let’s give her a worshipper’s heart to sustain her.” That’s just a little of what God said as He created me. What did God say when He created you? Maybe he talked about putting into you gifts of mercy and helps with a strong dose of generosity. Maybe He made you into a catalyst – a person who sparks things in other people. He made each one of us, and as He formed us, I believe it’s quite likely He spoke our talents and gifts and personality into us. In the creation story, God spoke each part of the world into existence. Imagining God speaking as He formed me brings an intimacy to my creation story that makes me breathless – wow! Israel was no longer a child when God spoke this prophecy to her, and He said “Do not be afraid, for I have ransomed you.” God has paid a ransom for Israel. This was spoken before the days of Christ, but God sees time differently. He knows the whole story and the plan is in motion. The ransom He has paid is the future crucifixion of His Son. It is Jesus who gave His life a ransom for many (Matthew 20:28). A ransom is “a consideration paid for the release of someone from captivity” (www.merriam-webster.com). Do not be afraid, friends, because God has ransomed you. Jesus was the “consideration paid” for your release from captivity. The One who formed you, then bought you back. Wow! Why? Because He has called you by name. You are His. There is such a definitiveness – an “it-is-finished-ness” in that phrase. It is the owner of an item that has the right to name it. I cannot name your child. The local sports arena isn’t called Hovatter Field because I haven’t bought it. God formed us. Then He ransomed us. He has the right to name us. We are His. This One who ransomed us didn’t do it so that He could Lord it over us. He has ransomed us to be with us and He promises to be with us in our darkest and most difficult times. When we go through deep waters, rivers of difficulties, fires of oppression – He remains our Savior. Many will read the Christmas story this week – how the child was born in a manger – and they will wonder at what God has done. God has ransomed us and having done so, when we walk out of captivity toward Christ, He promises to be with us through all the challenges we face in life. He didn’t pay the ransom and then walk away. I like that about God. A lot. God ransomed us by giving His one and only son, and he did it because He loves us. He ransomed us to give us eternal life. He ransomed us not to condemn us, but to save us. The Israelites were made for God’s glory. We have been made for God’s glory. “What is the chief end of man?” the Westminster catechism asks. “To glorify God and enjoy Him forever.” We were created for the purpose of glorifying God. He has saved us to enjoy Him forever. We have been chosen to know Him, believe in Him and understand that He alone is God. And when we respond to His choosing – when we believe in Him, understand that He alone is God and live our life accordingly – He gives us eternal life. Hallelujah! If this were God’s love letter written specifically to you, what might you substitute for this verse? What seemingly hopeless situation did God rescue you from? Pause now to take a few minutes to remind yourself of what God has done for you. Are you remembering? This is an important step because what follows builds on it. Don’t just read ahead. Pause here to remembering some of the times and situations in which God has saved or rescued you. As you celebrate Christmas this year, remember God’s promises to the Israelites and to you. That He who created you has also saved you and promises to be with you forever. That you are precious to Him and even though you have sinned, he promises to blog out those sins. Christ came to make this possible. The heavenly King became a baby. The heavenly King gave up the glories of heaven to live in this fallen world, subject to all the indignities of this world, experiencing the challenges and joys of this world as we do, so that we might experience the joys of fellowship with Him forever. God is faithful, loving and kind. Christ is just one proof of that. Praying that you have a joyful celebration of the Christ child being born. Palm Sunday marks Jesus’ triumphal entry into Jerusalem. It was a time of great celebration. I was fascinated to learn this week that there was almost a mingling of Jewish festival celebrations and a foreshadowing of heavenly celebrations in that single event. In Jesus’ entry into Jerusalem, we see elements of the Passover celebration, the Festival of Tabernacles, and heavenly worship. First a brief review of Passover and the Festival of Tabernacles. In the Old Testament, the Jews were enslaved by the Egyptians, and God sent Moses to deliver them. Moses repeatedly went to the Pharaoh with a message from God: “Let my people go so that they might worship me.” Well, we know that Pharaoh had a hard heart – he didn’t care about God or what god wanted. So God sent the ten plagues to try to convince Pharaoh to change his mind. There were plagues of frogs, gnats, boils and all manner of other unpleasant (and deadly) plagues. The first nine didn’t go very far toward softening Pharaoh’s heart. The tenth one, however, was the most significant. It was a plague of death to the firstborn of every person and animal. While the Israelites experienced most of the plagues along with the Egyptians, they were protected from this one. God gave them very specific instructions to kill a lamb that was without spot or blemish and they were to take some of blood from that lamb and put it at the top and sides of their door. When the death angel saw the blood of the lamb on the door, he would pass over that house and no death would come to it. From that time on, the Jews celebrated the festival called Passover. It was a time when they remembered that the angel of the death passed over their home, saving them from death and bring deliverance from the Egyptians. the first day you are to take choice fruit from the trees, and palm fronds, leafy branches and poplars, and rejoice before the LORD your God for seven days. So, again, we have these two festivals that the Jews celebrate. Passover, representing the time when the blood of a lamb was put on the doorposts of the Jewish households and the angel of death would pass over that household. Festival of Tabernacles celebrated by the waving of palm branches with great rejoicing for seven days. It commemorates God’s provision for the Jews as they wandered in the wilderness, and ultimately bringing them victory after victory as they came into the Promised land. But before the actual observance of Passover, Jesus came into town riding on a humble donkey. It is unmistakable that the crowd recognized Him as the Messiah they were waiting for – the One who would save and deliver them. Yet He didn’t come into town riding a horse or chariot. He came in riding a donkey. He was sending a message that they didn’t yet understand. He was sending the message that He was the Messiah who came to serve, not conquer. He came to be the lamb of God who would be slain so that the death angel could pass over all who would apply his blood to their hearts and souls. They didn’t understand that yet. But their celebration makes it clear that they recognized Him as their Messiah. “Son of David” is a phrase that had come to mean the Anointed Messiah – the One who would deliver them. So they cut palm fronds and waved them. And threw down their coats and the palm branches before Jesus as he rode into town. They were honoring Him as they would celebrate and honor a king. What I found fascinating is that cutting palm fronds and celebrating with them is exactly what they did every fall when they celebrated the Festival of Tabernacles. They celebrated God’s provision and their deliverance through the desert to the Promised Land with palm fronds. Now God was providing their ultimate deliverer and they instinctively used palm fronds to celebrate! What I also found fascinating is that this celebration was a precursor of things to come. This was the earthly celebration that preceded the heavenly one. Jesus knew this celebration would be short lived and He would soon die on the cross. He knew that in just a few days He would become the Passover lamb whose blood protected all who took shelter behind it. Hallelujah! Even in heaven, Christ bears the look of the Lamb who was slain and they are worshipping Him because He was slain and His blood, shed on the cross, made salvation possible for men and women from every tribe and language and people and nation. If you know Christ, if you have applied His blood to the doorposts of your heart, you will be among those people who worship Christ in heaven. 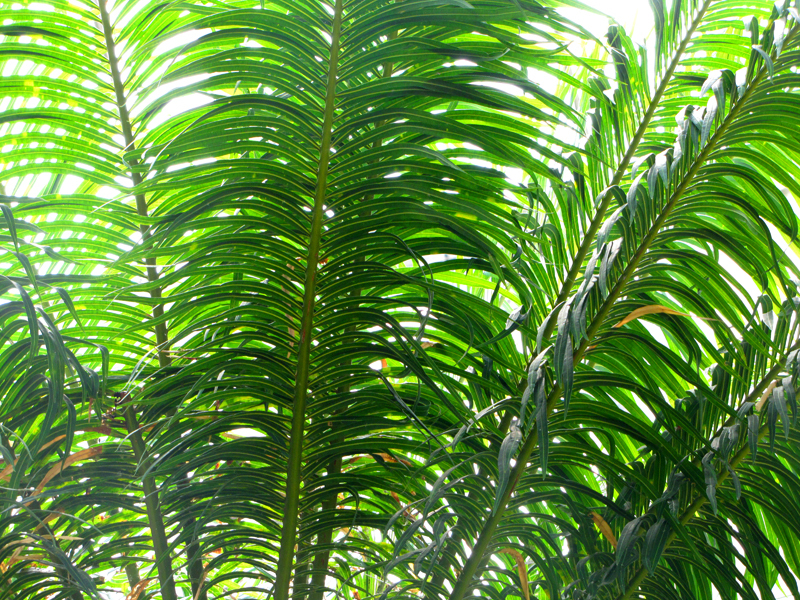 As Jesus rode into Jerusalem, the people waved palm fronds and laid them at His feet. They shouted “Hosanna” – “Save us Now!” There is a day coming when saints from every nation, tribe, people and language will stand before the throne of God – stand in front of the Lamb who was slain but is alive. And we will wear white robes, which symbolizes that our sins have been washed away, and we will be holding palm branches in our hands. And we will sing in a loud voice “Salvation belongs to our God who sits on the throne and to the Lamb.” Hallelujah! The celebration of the crowd as Jesus entered Jerusalem is a dim reflection of the celebration we will be a part of in heaven. What a glorious time that will be, friends. We will worship like we have never worshiped before. 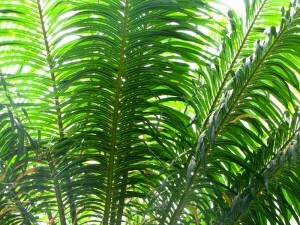 With palm fronds from earth, we will worship in heaven. With full understanding that Christ Jesus is the fulfillment of every Old Testament promise and practice. With the experience of a new life that lasts forever. This is Holy Week and I encourage you to reflect and celebrate the week. Celebrate Christ’s rule and reign today – that is, the ruling and reigning of Christ in and through your life. And celebrate knowing that there is a day to come when we will celebrate Christ together in heaven. Hosanna! Save us now, Lord! And blessed are those who call on His Name. I hope you’re one of them. Special thanks to Real Life Blog for the image. Check it out here. Is the Book of Leviticus Relevant Today? After reading the excitement of the books of Genesis and Exodus, we come to a book of regulations and instructions – the change in drama is significant. Leviticus seems boring compared to the two books that precede it. It is, however, part of a natural progression of the same story. In Exodus we read about how God had chosen the Israelites as His “treasured possession” and a “nation of priests” (Exodus 19:5-6). The book of Leviticus establishes regulations for the priesthood. . In Exodus, the design for the tabernacle was given, it was built and the Lord’s glory filled it. In Leviticus God teaches the Israelites how to minister in the tabernacle. In the final chapter of Exodus, the glory of the Lord – His very presence – filled the temple. The book of Leviticus begins with God calling out to Moses from the tabernacle. What follows are instructions to the Israelites about how to live a holy life in and with the presence of God. 5you also, like living stones, are being built into a spiritual house to be a holy priesthood, offering spiritual sacrifices acceptable to God through Jesus Christ… 9But you are a chosen people, a royal priesthood, a holy nation, a people belonging to God, that you may declare the praises of him who called you out of darkness into his wonderful light. Believers today are a part of the “treasured possession” and “nation of priests” that God called out in Exodus. We gain a much deeper and richer understanding of that role and its responsibilities by understanding its history. Finally, in response to the question “Is the book of Leviticus relevant for believers today?” let me say that I was surprised to learn that it is quoted at least forty times by New Testament writers! That alone makes me think there’s more to this book than I was getting as I began reading it this week. And there is! Let’s take a deep breath and dive into the first seven chapters. Chapters one through seven are all about sacrifices (but then you knew that if you’ve been following along with our Resting at the River’s Edge readings). It’s easy to get lost in the details of the five different types of offerings identified in these chapters, so we’re going to take them one at a time and look at what they teach us that is relevant to us today. Burnt Offering: The word used to describe the burnt offering is olah. It comes from a root verb (alah) that means “to ascend.” The burnt offering ascends to God, going before the priests as a way of purifying the path so to speak. He [the priest] is to lay his hand on the head of the burnt offering, and it will be accepted on his behalf to make atonement for him. Laying his hand on the head of the animal to be sacrificed shows his identification with the animal. The action reminds the priest that it is for his sins that the animal is being slaughtered and the burnt offering goes before him making him acceptable in God’s sight. It also a “complete” offering – the entire offering is burned, which reminds us that we are to surrender not just a portion but all we are and have to the Lord. Peace Offering: Unlike the burnt and grain offerings, everyone shares in the peace offering – the one giving the offering, the Lord and the priests and their families. It is truly an offering of reconciliation – between the one making the offering and the Lord, and all those involved. 17Therefore, if anyone is in Christ, he is a new creation; the old has gone, the new has come! 18All this is from God, who reconciled us to himself through Christ and gave us the ministry of reconciliation: 19that God was reconciling the world to himself in Christ, not counting men’s sins against them. And he has committed to us the message of reconciliation. 20We are therefore Christ’s ambassadors, as though God were making his appeal through us. We implore you on Christ’s behalf: Be reconciled to God. 21God made him who had no sin to be sin for us, so that in him we might become the righteousness of God. “We are therefore Christ’s ambassadors, as though God were making His appeal through us” We are that peace offering. A portion is to be burned to rise to the Lord atoning for our sins and the sins of those we represent, and the rest is to be shared with others. Wow! 11The high priest carries the blood of animals into the Most Holy Place as a sin offering, but the bodies are burned outside the camp. 12And so Jesus also suffered outside the city gate to make the people holy through his own blood. Guilt Offering: The sin offering and guilt offering are very similar. It is also burned outside the camp. Christ’s crucifixion outside Jerusalem takes away not only our sin, but also our guilt. He sets us free, indeed! The guilt offering includes financial compensation to parties who have been wronged, introducing the principle of restitution. Christ frees us from our sin and guilt before God, but we have a responsibility to be reconciled with others and that often requires restitution. Interestingly, this offering is the only one which is not described as a soothing aroma. Perhaps I am stretching an analogy too thin, but I can’t help but remember that guilt is never pleasing to God. He brings condemnation and desires/requires repentance. But ongoing guilt is simply a malodorous burden from the enemy. 1Therefore, there is now no condemnation for those who are in Christ Jesus, 2because through Christ Jesus the law of the Spirit of life set me free from the law of sin and death. 3For what the law was powerless to do in that it was weakened by the sinful nature, God did by sending his own Son in the likeness of sinful man to be a sin offering. We were guilty, but Christ’s offering removed that guilt from us. Hallelujah! The word for “offering” in Hebrew is corban. It comes from a root word meaning “to bring near.” The offerings described in Leviticus brought the Israelites nearer to the Lord and to the holiness that the Lord required. The offering itself brought them near to God – it went before them to make them acceptable to Him. The act of bringing the offering demonstrated their obedience and that obedience was a precursor to holiness. The offerings we bring today do the same – they bring us near to God and develop an obedience in us that moves us closer to the holy standard God requires. I am not, of course, saying that we become God or we earn a righteousness by our actions. We are righteous only when we accept Jesus’ sacrifice as the atonement for our sins – when we believe that He paid the price we owe and we live our life according to His plans and purposes. Is the Book of Leviticus Relevant for Today? John the Baptist recognized that Jesus was the fulfillment of the Old Testament sacrificial system – that Jesus’ death met all the requirements and did so forever. Hallelujah!